Some awesome beadmail arrived yesterday! 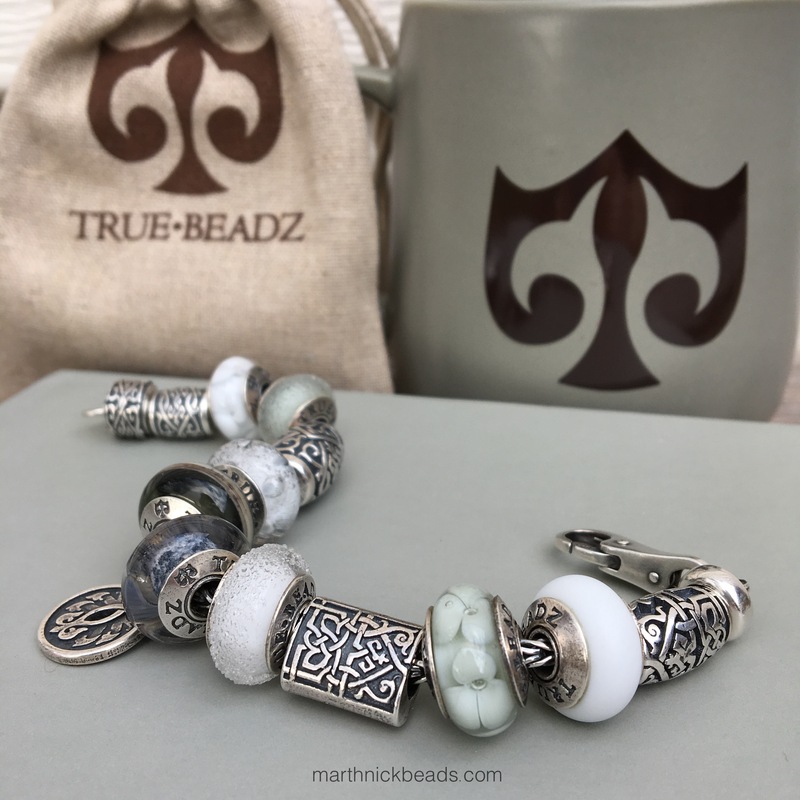 I wasn’t working and it was cloudy and perfect for photos so I thought I’d put together a quick blog post with an overview of the Russian Lullaby collection by True Beadz. I will be gushing on and on about these beads for some time as I love them so much. On the True Beadz website it says that pre-orders are being taken and the beads will be sent out after the 28th of November. They will also be available at Great Lakes Boutique in America and Star Bijou in Germany. 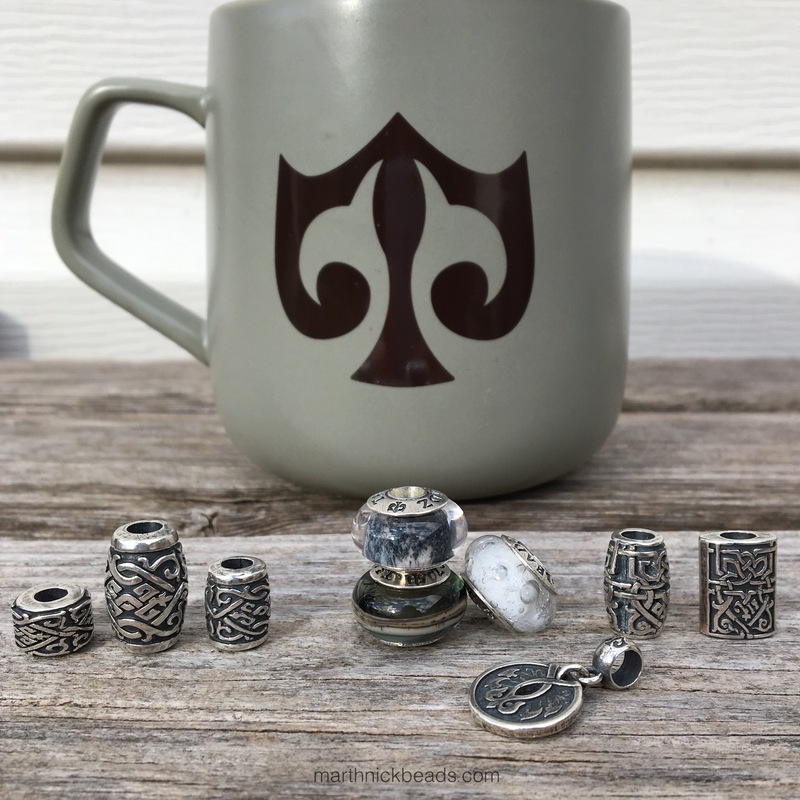 Julia also kindly sent me a lovely coffee mug (full of sweets that my kids have been devouring) with the True Beadz logo. I shall have my coffee in it this morning! There is also a Goldie Sheep who enjoys classical music! Here’s a bracelet using the whole collection except for Goldie, who was napping after that long journey from Russia. Below left to right are The Wheel of Time ($33, all prices are US dollars), Far Far Away Kingdom Small ($40), True Blossom Siberia, True Taste Linen, Far Far Away Kingdom Large ($80) and the stunning new Alchemy Snow ($33). Here’s a macro shot of the Alchemy Snow. I think it will also be nice in the summer as it looks like the froth at the ocean’s edge as the water washes up on the sand. 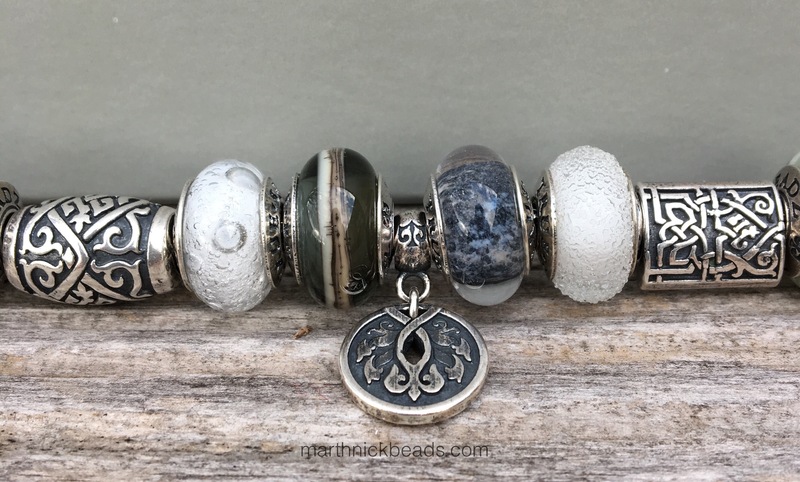 Below left to right after the Alchemy Snow are Black Ice ($33), the Fire-bird Dangle ($45), Blizzard ($33), True Taste Siberia and Once Upon a Time ($40). 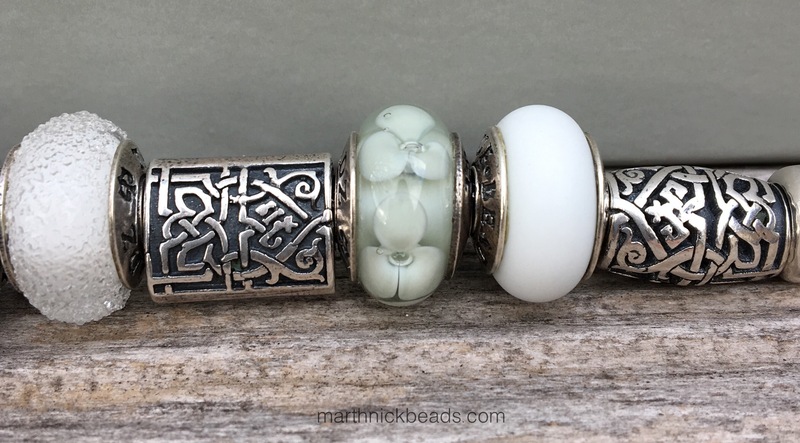 In case anyone is wondering, the Blizzard bead looks amazing with the Trollbeads Neptune’s Promise. 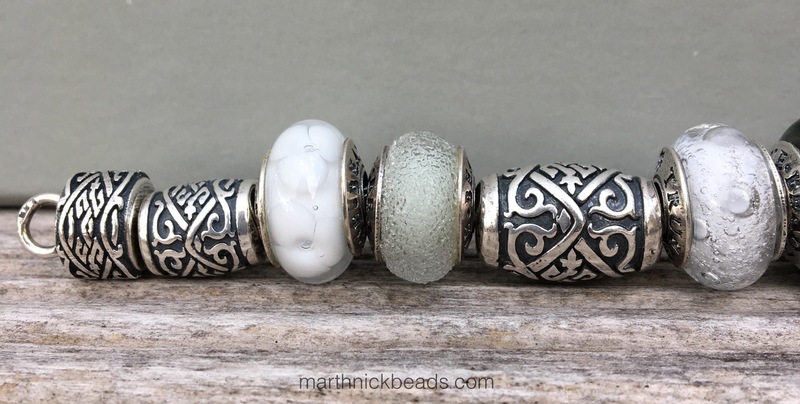 I’ll do an in depth blog post on these glass beads on Monday. Below left to right after Once Upon a Time are True Blossom Linen, True Touch Siberia and Roots ($40). The Roots was made in a very small quantity and I think it has already sold out during pre-orders. The Once Upon a Time is my early favourite, as I really like the rectangular shape and can’t wait to try it on a leather bracelet. Here’s a final picture. I know that a lot of people have already placed an order for these beads. I hope these photos will whet your appetite for them! Do let me know which ones are your favourites! 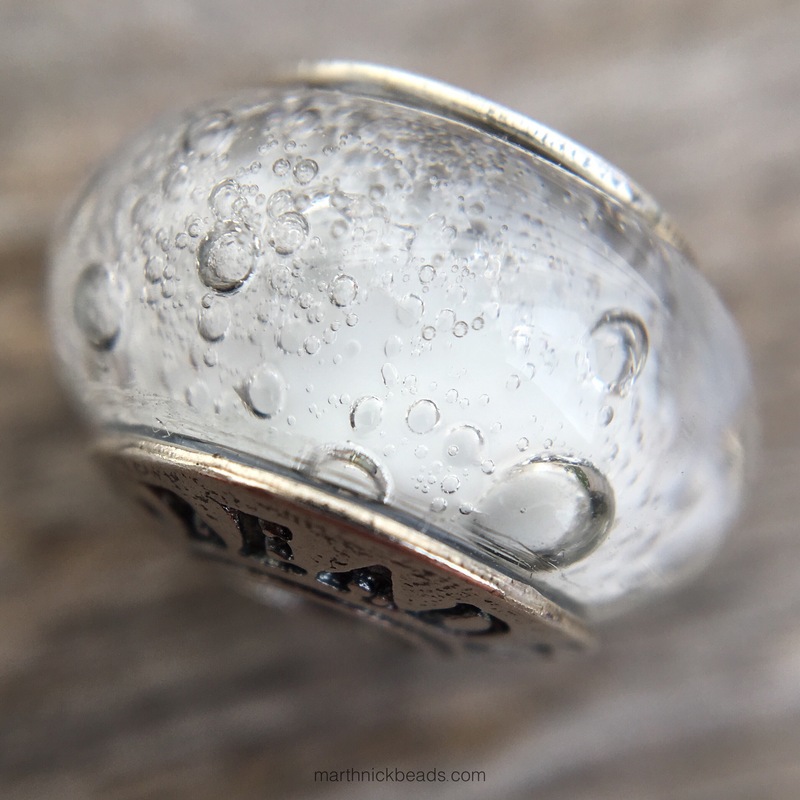 Next Next post: Trollbeads Giveaway! They are all so pretty! Julia is an artist! But I loved most Blizzard!!! Blizzard is beautiful. I agree, Carla, they are all so pretty! Carla, thank you SO MUCH!!! These are just amazing! I can see a Stravinsky Firebird ballet bracelet with that dangle. I can’t say enough nice about this release. And it really seems to be hitting the right chords with the bead community. Very happy for Julia and Alexey! 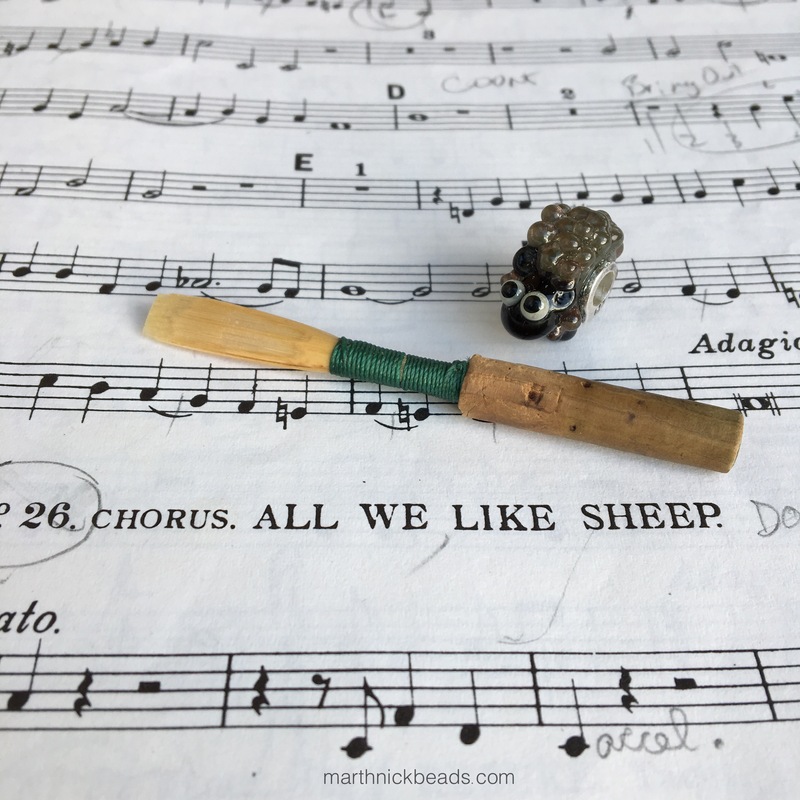 Oh, and the “We all like sheep” music score just made me smile. Perfect! Such an awesome collection. And I actually dug out my oboe part of the Firebird Suite! I will make a Firebird inspired bracelet one day soon! Julia and Alexey must be so thrilled with the bead community’s reaction to this release. 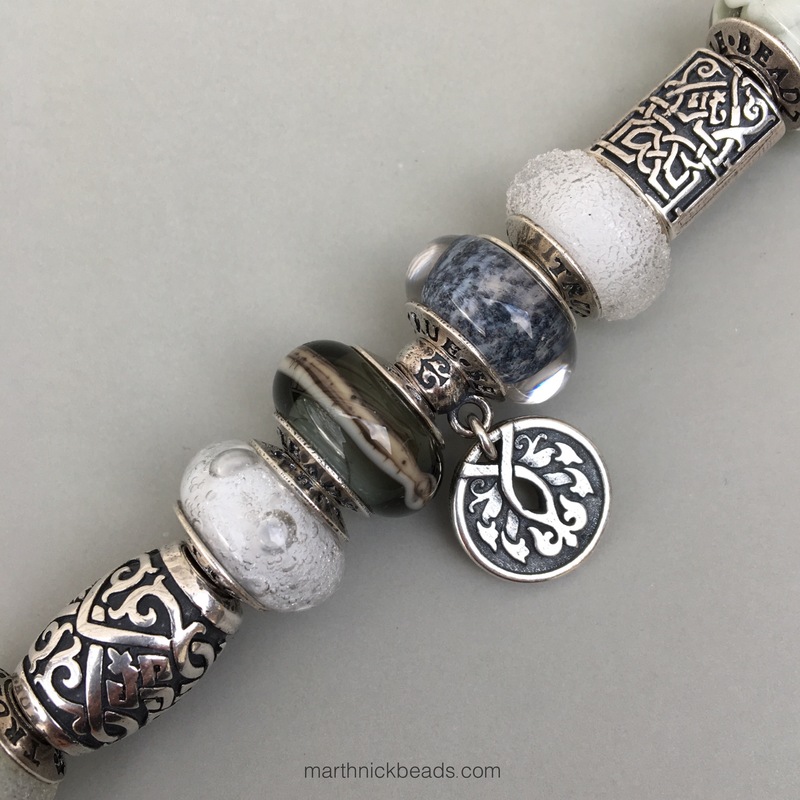 Dear Martha, thank you once again for a nice job of putting beautiful beads into an even more beautiful bracelet! I am absolutely excited about this release and couldn’t help preordering some items which I actually never do 😁 I choose the Snow and the Firebird dangle but am still eyeing Once Upon a Time. A truly awesome collection! My pleasure, Svetlana! Ooo…I think you’ll love the Alchemy Snow and the Firebird Dangle. They will both go with so many other things. Julia and Alexey really outdid themselves! Your bracelet is beautiful, Martha! 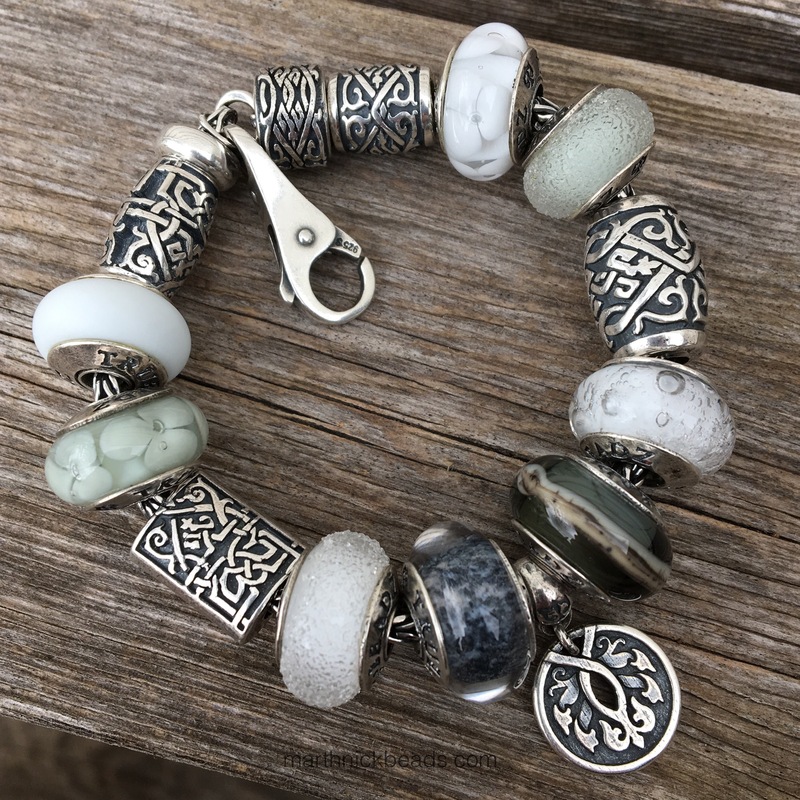 I pre-ordered a number of the silver beads and am so appreciating your photos and what they look like altogether on a bracelet…stunning! I am also realizing I need more linen blossoms….I love the color! Oh, Linen is just lovely, isn’t it? And the Black Ice glass bead looks amazing with Blue Mist. I’ll try out different glass combinations for Monday. Glad you enjoyed the pictures, Elise and hope you will enjoy your new beads! I love Every. Single. Bead. Dear Santa, bring me some Truebeadz please!! Thanks for your awesome review and pictures as usual, Martha, and Julia, your release is amazing. So amazing!!! Mandy, I’m with you…every single beads is stunning! I’m so happy you enjoyed the pictures and hope that Santa brings you some True Beadz! ❤ ❤ ❤ thank you so much, Mandy!!! This is the first collection I’ve seen where I have loved every piece. Usually there might be one or two favorites but not this time…I want, no I NEED all of them. Suzanne, I heartily agree. This really is an amazing collection! Suzanne, thank you! you are so kind! This is all so pretty! My favorites are Firebird dangle and Once Upon a Time. They are like nothing else I’ve ever seen! Elizabeth, I agree that they are unlike other beads in the bead world and that’s what makes them so special. It’s such a delightful collection! Ooo…nice! I should think it will be around as it’s not a limited edition. It’s my favourite of the silver beads! Oh, I just love Black Ice and Alchemy Snow. The Black Ice is so rich looking and the frothiness of the Alchemy Snow is delightful! Hope Santa is good to you!